#AUTHOR SPOTLIGHT ~ Here is a little teaser about Tina Ann Forkner! Full interview going live on Friday! and, a Giveaway you won’t want to miss! Tina Ann Forkner is a Women’s Fiction Writer. She lives a Northern life, but has a Southern heart. 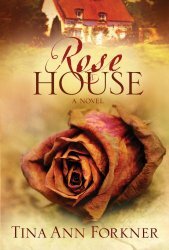 She is the author of WAKING UP JOY, RUBY AMONG US, and ROSE HOUSE. A substitute teacher, she was born and raised in Oklahoma and now lives in Wyoming with her husband and family. 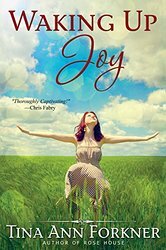 Tina’s Novel, WAKING UP JOY, is a 2015 HOLT Award of Merit Recipent – Romantic Elements. “Reading is a passion of mine, and when I find myself identifying with the characters, anxious to get to the next page to find answers to my questions, I know I’m into a good book! 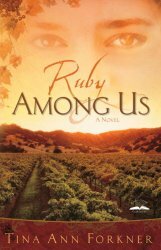 The daughter-mother-grandmother theme in Ruby Among Us pulled me in. Wonderful story-telling.” -JORDIN SPARKS, Music Artist & 2007 American Idol Winner.